I am brand new to this game and cannot figure out how to even start the game, let alone get into an airplane. Are there any training missions or any type of training at all. Any help would be greatly appreciated. Most chaps here are spectacular in some way. If you cannot get in the game at all we need to know if you are Steam or not, are you activated, etc, what exactly is the problem so we can help. Once you are logged on in the game, your best bet is Missions. (Not Quick Mission). Select fly now, and choose an aircraft that you own, whether it is DLC or the free starter planes. You will start on the ground, to give yourself time to figure out where everything is, configure controls, viewing systems, the map etc. Once you have got airborne (hehe!) you can fly around and try to find the ground targets, balloon and enemy planes - location marked on the map. Try to shoot something up (hehehe!) Then there is landing (Mwahahaha!). Just remembering how hard I found it at first! If you have the freebies only I strongly recommend the Albatross first - engine management is easier. You may be wanting to leap into MP but you should definitely spend a few hours getting the basics in SP first. Then you just have to experiment. Fortunately the penalty for crashing is not death.... Oh and Plank is right the manual is actually rather good! Are you using the mouse or the joystick / gamepad for controlling the aeroplanes? Knowing your controllers will really help answering the question. Make sure you use settigns->general section to make game know if you use fly-by-mouse or fly-by-stick. In control section, make sure you know which buttons / controls are assigned to throttle, starting the engine, firing and reloading your weapons. And rudder (plane control:yaw) if you are not using a joystick with twist handle. Other controls will come in time. First flight... select the quick mission. I'm not sure what planes you can fly, but Albatros D.Va is always a good choice for trainer. Make sure you start high in the air (2000 meters? ), that there are no enemy planes and that the game difficulty (via settings button of quick mission menu) is not to realistic. Then, enter the mission and fly. You will start airborne, with engine already running, so you don't have to worry about take-off, starting your engine, anything but controlling the plane. Fly around, learn how moves of your stick/mouse translate to moves of the plane. Refly if you crash, until you feel you konw what you are doing and are ready for more. Then, consider visiting the training campaign (campaigns menu). It's famously bad and difficult at later parts, and uses a rather difficult plane as trainer, but the briefings explain pretty well the ideas behind flying. Whether you try training campaign or not, it's time to follow unreasonable's advice and go to missions->fly now->plane you want to train with. It has you take off, and lets you train pretty much whatever you want. When you feel comfortable with your plane contols, you can just start an Albatros career. Refly missions if you die, and just go thorugh career scenarios, following your AI flight and learing from them . Finally, there are MP servers like New Wings-Basic training made to help you learn your plane. It has many things I mentiones (airstart, takeoff, no-combat enviroment), and people from NW are more than willing to act as instructors on the spot. I know it is a lot in one go, but you can now come back with specific, detailed questions as you proceed, rather than ask about everything at once . My problem is the actual installation of the game. I get all the way to the Start screen for registration and when I HIT THAT BUTTON MY SCREEN GOES BLACK AND I HAVE TO REBOOT. I have followed all the instructions but can't get past that point. I have uninstalled, shut off UAC along with Avast still no luck. I have plenty of memory, 1TB hd and 22 gig Ram. CH568 Combat Stick, CH Pro Throttle and CH Pro Rudder pedals. Any help getting me in to the registration screen would be greatly appreciated. I am new but I would like to get into this game. I do currently fly IL2 1946 so I know my equipment works. Thanks for the replies, thay are very much appreciated. so maybe it's redirection to browser part that crashes your computer? But you are writing here, so you are already registered. Just use your account in-game. Or is it the firewall? Trying to register/log in is the first time the game tries to access internet, so black screen may be a side effect of firewall stopping it at this moment. Any planes you buy in game store using your AKA_Gunslinger account will be available in game if you log in with the same email/password you use now; your account is your RoF identity. As last resort, the steam version of RoF is free to play now. If you are using steam, you can download the steam version of game and, as long as you don't buy any payware DLcs from steam, use it with your current account, buy from store on this site, as if it was the stand-alone game client. Does any one think I would be better off deleting the free version and then buying the game through the Steam Store? At least I might get it loaded and running correctly. As it is now, my Steam account won't work with the RoF page as it keeps asking for a new registration that won't work because the e-mail address prevents me from using my Steam information. I know this sounds crazy and convoluted but that's the way it is. I've tried getting help from RoF and am told that my user name has to have latin charecters,stars and all kinds of other junk I don't understand. I am new to this so it's probably something stupid that I'm doing. I'm also not very computer literate. Help, tips, hell anything would be appreciated. If I understand your posts correctly, you have installed the F2P version - have you updated the game from the launcher, and performed a "recovery" from the launcher (before trying to actually start the game)? If not, do those things first. Then, as I understand it, you have been able to get to the initial game login screen (as below) - correct? 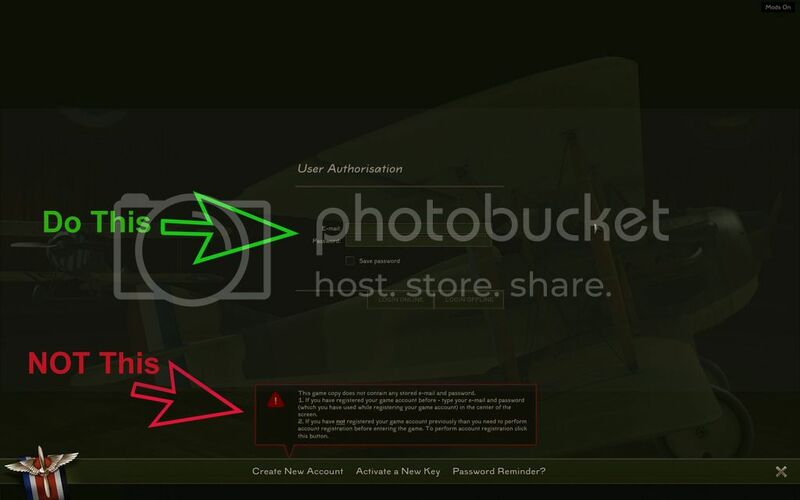 If so, have you tried logging in (choose "online") as noted in green, instead of clicking anything down below as noted in red? Does any one think I would be better off deleting the free version and then buying the game through the Steam Store? At least I might get it loaded and running correctly. You don't have to buy it, it's free to play now, and you don't have to buy your content from steam to use it. Bit of exposition: there are two components of RoF: game program, which always has to be newest version and holds all game content, and users account, which is used to log into program, holds information of users purchases and lets program know which parts of content user can access, and which can't. User account is also used for this very forum, so you already have one. The payware part are the planes themselves; free user account start with 3 planes, everything else must be bought (or received as a gift ). This is where only difference between steam and non-steam appears, if you buy planes form steam and add them to RoF account, you can't buy planes from non-steam store for same account, and vice versa. Game program, both steam version and non-steam version, are free to download and run. You can have them both at the same time if you have drive space, and they will always let you log in with your user account and play with content you paid for - they are functionally the same. You can buy planes on steam and log into non-steam version to play them, or the opposite, it's up to you. So if one version does not work you lose nothing by trying the other one. Like Panthercules said above, you don't need to register anymore, just log into game like you were logging into this forum. If you want to try working on this in real time, I'm often available on steam chat. I made a post not long ago with many good links to get to know more the ROF game and info about playing ROF online. It's not really long to read the docs, and helps a lot when playing offline & online! I HAVE USED THE RECOVERY BUTTON FROM THE LAUNCHER SND AFTER RECOVERY SHOWS 100% I GO TO THE SCREEN THAT SHOWS THE BIPLANE AND HIT THE START GAME BUTTON. ALL I GET IS A COMPLETELY BLACK SCREEN. THE ONLY WAY OUT OF THE BLACK SCREEN IS TO CLOSE THE TOOL BAR IF THAT IS AVAILABLE. SOMETIMES THE ENTIRE SCREEN IS BLACK AND I HAVE TO REBOOT. I KNOW THIS DOES NOT MSKE ANUY SENSE BUT IT'S THE WAY IT IS. I WOULD LOVE TO PRACTICE, PLAY OFF LINE ANYTHING, BUT I CAN'T GET INTO THE STUPID GAME. OR MAYBE IT'S ME THAT'S STUPID. I DON'T SEEM TO BE GETTING ANY USUABLE HELP FROM RoF SUPPORT. Your settings will of course vary from the ones shown above, but they might provide some clue as to what might be going wrong here. What Video card are you using? And please, don't use all caps. Not sure who this request was directed to, but I'm sure any of the folks posting here would be happy for you to PM them with any future questions (I would certainly be fine with that) - but your best bet would probably be to keep posting any questions here, where you have a shot at getting attention (and help) from many more folks than just whoever you PM. And yes, it would be a good idea to ditch the all-caps - folks generally don't like being "shouted" at like that. My bad. I didn't realize I was offending typing in all caps. It won't happen again. As I said, I am brand new to this and am trying to learn as I go. I apologize to anyone who may have taken offense or thought I was shouting. Certainly not my intention. Will let you know if anything changes after the reinstall. I am unable to play, either with the steam version or the standalone client. I try to start it and it says key not activated, then when I click activate new key and try that, it says all keys activated. I have screen shots attached. Still no joy even after complete uninstall and reinstall. 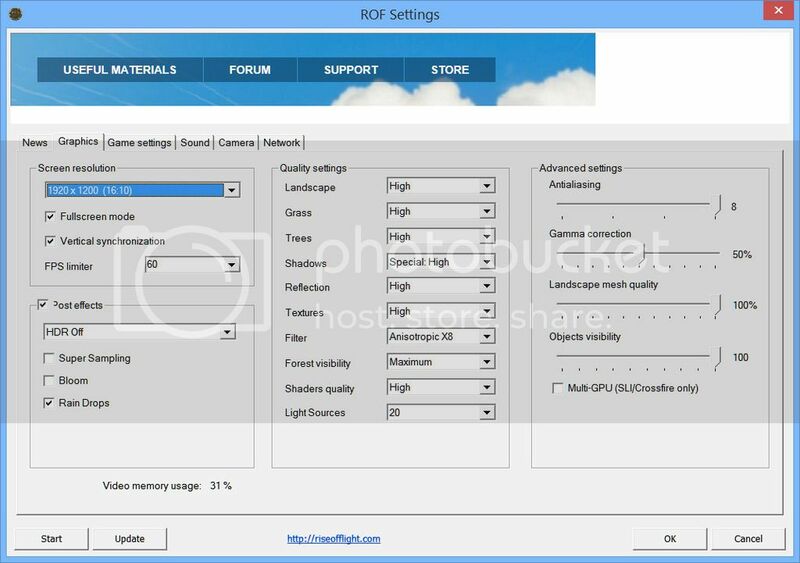 I get to the screen of ROF Settings and after checking all the various topics I hit the start button and again the entire screen turns completely black. The only way out of The black screen is to reboot. Very frustrating. I'm also not getting any help from ROF Support. Any ideas? I am new to this game too, but I am a pilot and so although I do know how to fly an airplane I'm using the mouse on my Win10 PC ... and when I look at the gun controls there seems to be a dozen ways to shoot the guns, but I can't seem to get my airplane to shoot a gun ??? 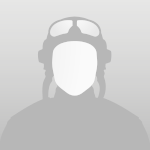 I'm using the free version, logged IN OFFLine and doing the quick mission. Shouldn't it let me shoot at the red flagged truck on the ground? One suggestion is that for a single player, the spacebar can shoot whatever gun is handy for the aircraft they're flying. We don't need a dozen ways to shoot guns when we're flying solo in a WWI aircraft. There is no incentive to buy the program if we can't even practice offline first. 1. 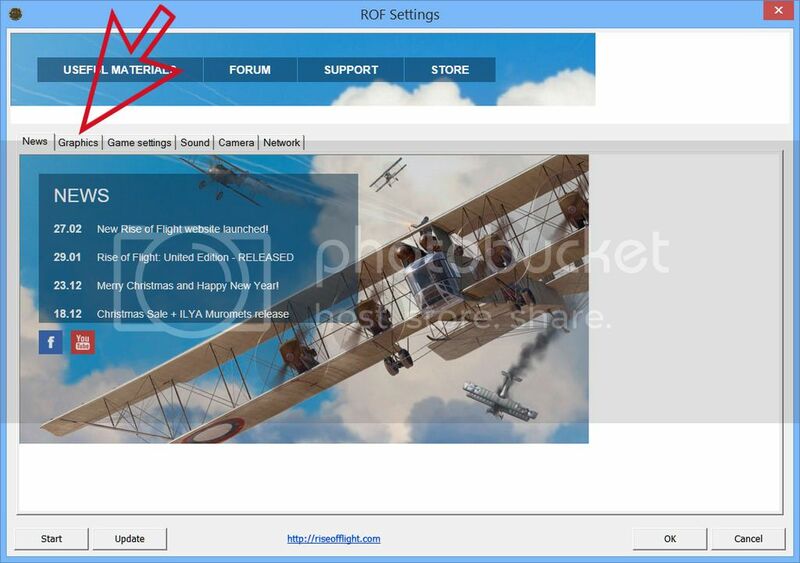 Double click your Rise of Flight icon. 4. Click on the “Gears” symbol, bottom right corner of screen. 5. OPTIONS screen will appear; select “Mouse” control. 6. Click on “CONTROLS” tab at top. 7. Click on “Weapons Control” listed on left side of options screen. Look for: “All Guns Fire” in: GAME ACTION column. <Spacebar> is the default and should be in the "Buttons & Axis Assignments" left column. 8. Click in one of the 3 rectangles in the “all guns fire” row. 11. Click the “Boxed X” at the bottom of the OPTIONS screen. Your “left” mouse button is now assigned as your guns trigger. 12. Go to <Missions> at the bottom center of screen. 17. Press “E” key on keyboard to start engine. 18. Press left mouse button to test guns. Personal help is available each Monday night @ 9 pm MST and Saturday night @ 8 pm CST for cadet training on multiplayer: NewWings Basic Training Server. This is the ONLY non-PvP server specifically for beginning RoF simmers. HotLead/ColdFeet's exceptional manual can be a great help also. Any joystick is better than no joystick. Pedals make a difference. Throttle quadrant is handy. There are many Track IR solutions at wide price range. Effort pays off. Fly with friends.